Ston and Mali Ston are at the entrance of Pelješac peninsula, on the road from Dubrovnik to Korčula. 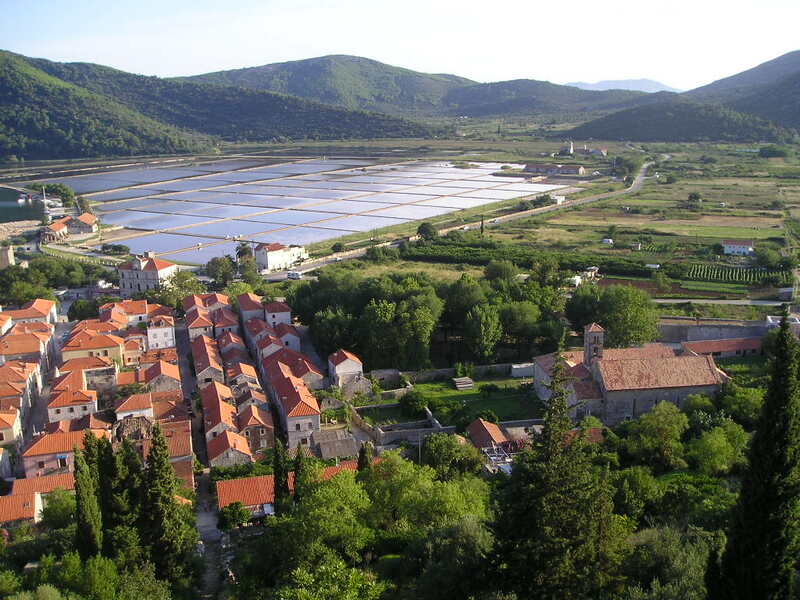 45 minutes by car from Dubrovnik and 1 hour from Korčula. 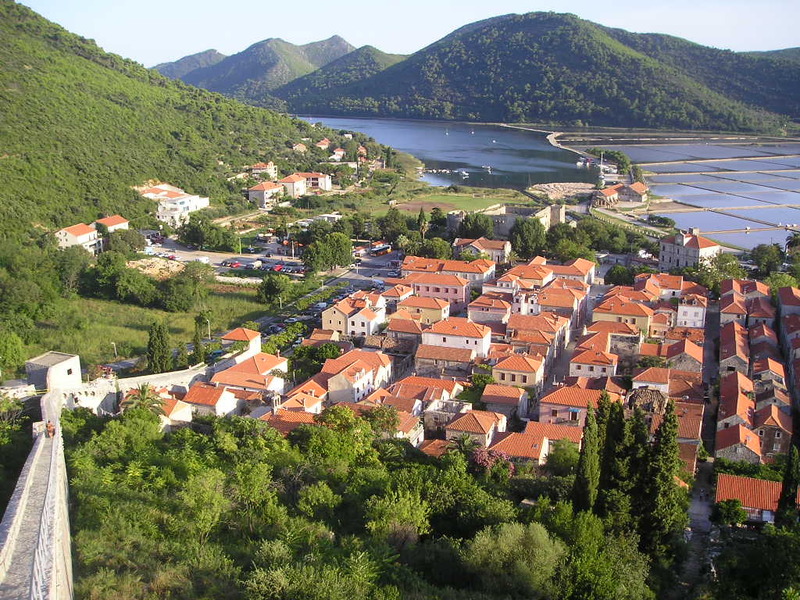 In the Bay of Mali Ston you can see plantations of oysters, the wall (5 KM) that surrounds Mali Ston involving the whole mountain to Ston and the tower on the harbor. You must visit Mali Ston, three streets, harbor and tower … And two or three good restaurants in the port (good quality and not very high price). 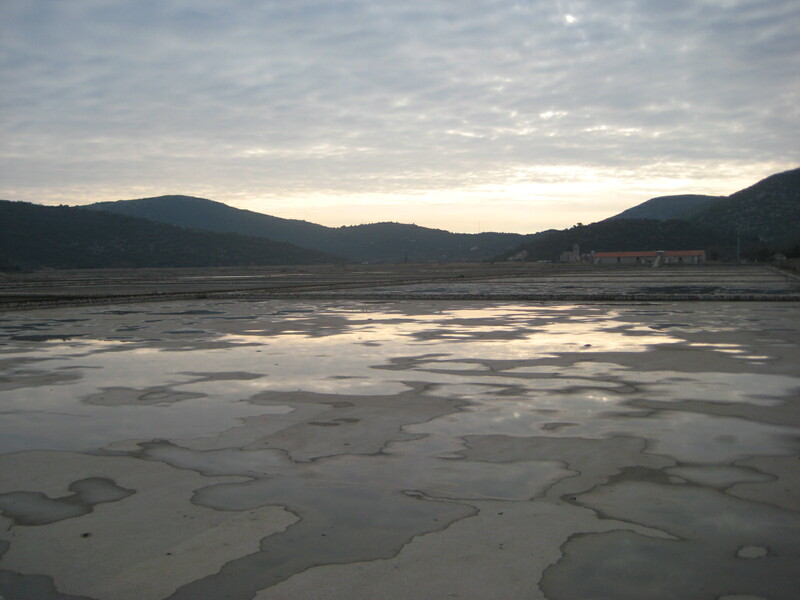 In Ston, apart from a small walk through the village, you can visit the wall, up to mid-mountain and salt factory. I recommend you also visit Prapratno. 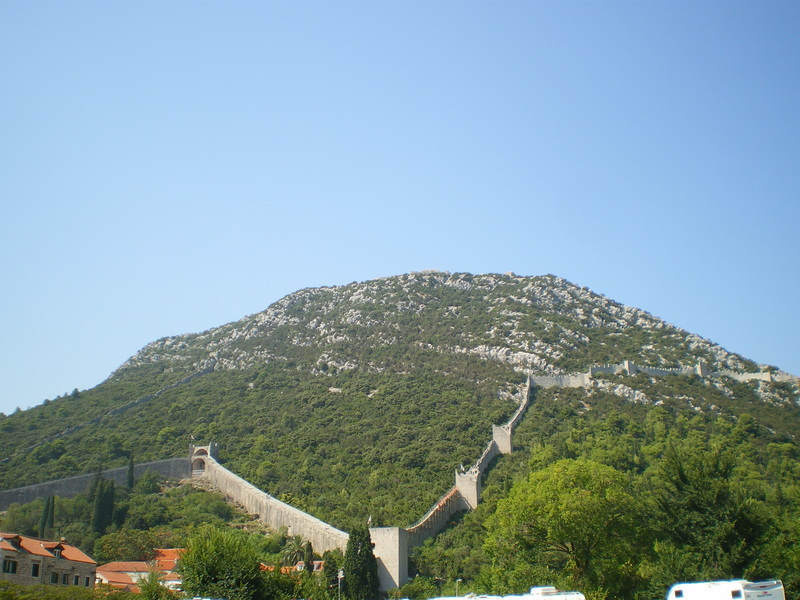 Ston walls are the second largest in the world, right after the Chinese wall.